Ever since the start of 3D printing, the most common way to do so has been with one print head. The increased popularity and accessibility of 3D printing has also influenced the demand for 3D printers that are able to combine materials in one single print. Of course a well developed dual head system brings great possibilities but it requires a bit of knowledge to use the technology to it’s full potential. To give you an idea of the possibilities of a Dual Head system we have written a guide that will talk you through the basics. 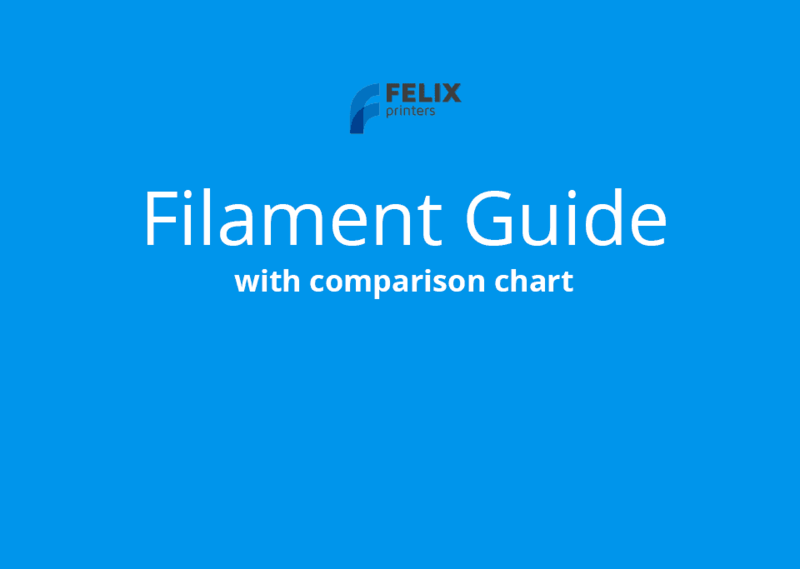 To fully understand the features and limitations of a dual head system, it is important to know the process of 3D printing, in this case done with a FELIXprinter. The technology of 3D printing can be explained as followed: push a string of plastic (called filament) through a very hot nozzle (about 200C or more) and lay down very tiny layers of plastic. These layers will solidify almost instantly once it has left the nozzle. By stacking hundreds or even thousands of layers on top of each other will create the desired object. The technique of stacking layers of a material on top of each other is called FDM: Fused Deposit Modelling. When having one print head, this technique is most suitable for only one color or material at a time. This is of course a very good start but it is limited in possibilities. To create more possibilities, a dual head system is invented. A dual head system, which has two individual print heads allows you to use multiple combinations of materials or colours in one single print! Can you imagine the possibilities? Having two individual print heads allows you to use two different materials in one single print. An example would be to use the same materials but in different colours (for aesthetic reasons), another example would be to use a solid material and another flexible material. Perhaps the most interesting combination would be to use the second print head for water soluble support filament. Water soluble material? What is the purpose of that you might think, but it allows you to create amazingly complex objects! The technique of most 3D printers is based on stacking tiny layers on top of each other. Starting with the first layer, which is always build on the build plate. That means it is physically impossible to create an object in midair. It will always need a bottom surface to place a layer. Due to a design of an object, it could be that some parts cannot be stacked onto an already existing layer. The solution to make this possible is to create a support structure. Each layer is built upon a foundation (the previous layer or in case of the first layer the build plate). If you print for instance a bridge. The printer will first print the side pillars of the bridge, and at some point it needs to connect the two parts together. If you print without support material, the printer will print the ‘bridge’ part in the air and the bridge will most likely ‘sag’ in the middle. Big chance your print will fail if there are too many layers ‘sagging’. Use the same material as the object as support material and remove it manually once the print has finished. 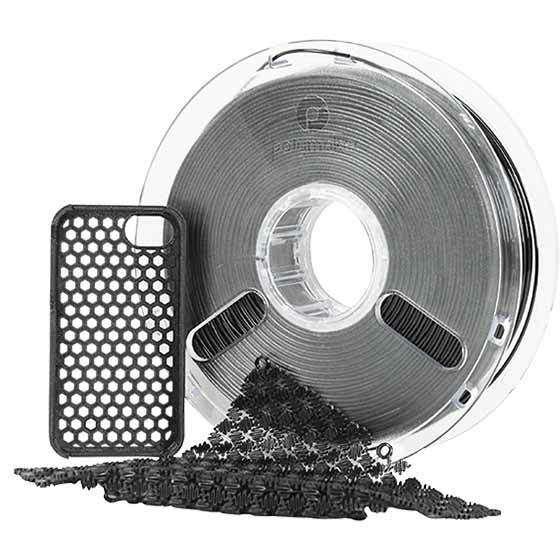 There is no second print head required to create this type of support material. Use a water soluble support material which can be removed by leaving the object in water once the print has finished. A second print head is required to use two materials in a single print. Using soluble support filament truly shows its value when you want to you create complex objects. Especially in difficult to reach corners it is great to have support material which is soluble. It gives you the opportunity to complete remove the support structure without damaging the object. 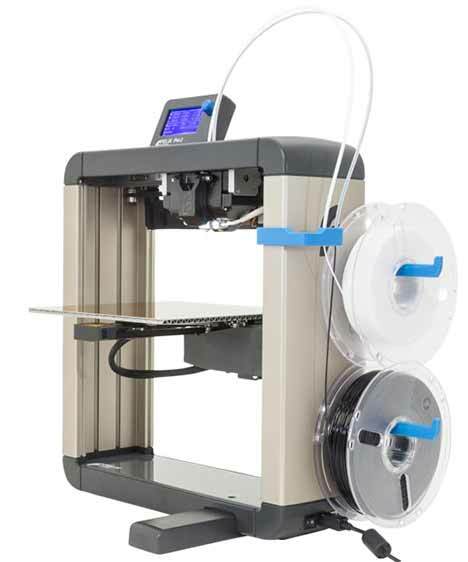 Will printing go twice as fast with a dual head 3D printer? The answer is easy: no. Both print heads are physically connected to each other – which makes it impossible to let them print their own part at the same time. The 3D printer will print with one print head at a time. If one layer requires to be printed with both print heads it will print with the left head first and when that is done – it will continue with the right head. In the meanwhile, the 3D printer will cool down the idle print head so the filament won’t overheat. Once the print head should print its part, the printer will heat up the print head till the desired temperature which of course takes a bit of time. All these steps result in a dual head print usually takes longer than a single head print. How to create one object with two materials? The creation of an object with multiple colours or materials is done within the software (that comes with the printer). 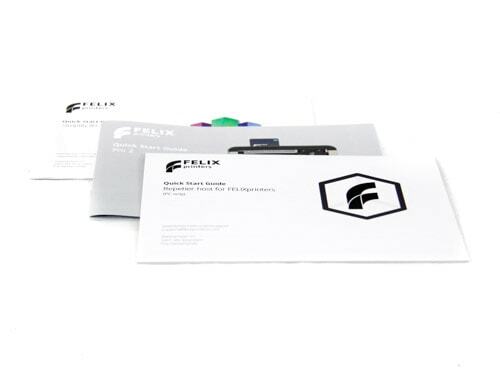 What is most important, is that the creation of a dual colour print requires two digital files (called STL files). For example, the creation of a die: this object is built from a file called ‘body’ and another file called ‘dots’. Within the software you have to select with which print head you want to print each object with. How to create a support structure? Creating a support structure is also done within the software. All you have to do, is to select the ‘generate support’ button and the software will automatically determine if a support structure is required to create a successful print. In the preview it will show you how it is going to generate the support structure. This feature allows you to see if placing the object in a different angle will influence the amount of support material needed. The print temperature range should be approximately the same. Especially the required build plate temperatures. So for instance PLA, which required a build plate temperature of 55C, in combination with ABS, which requires 95C, is not suitable. The high build plate temperature required for ABS, will negatively influence the quality of the printed PLA part. Chemical compatibility. Both materials should be able to attach to each other. 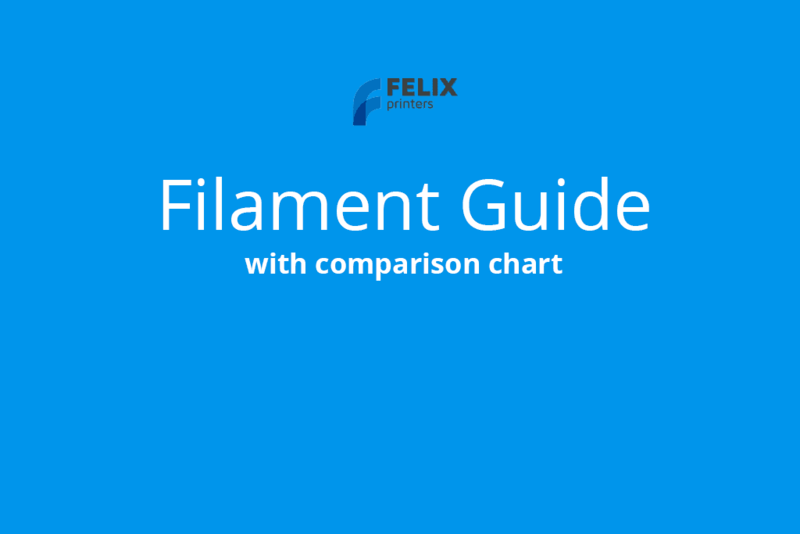 If you print PLA with PETG for instance that is most likely to fail. Even though their bed temperatures are somewhat compatible, they are not chemically compatible. If you have two objects printed separately from each other, it is generally not a problem. But if you rely on them to stick to each other at some point in the print, this will most likely fail.